Justice Scalia's daughter pleads guilty to drinking and driving | Jon Katz, P.C. 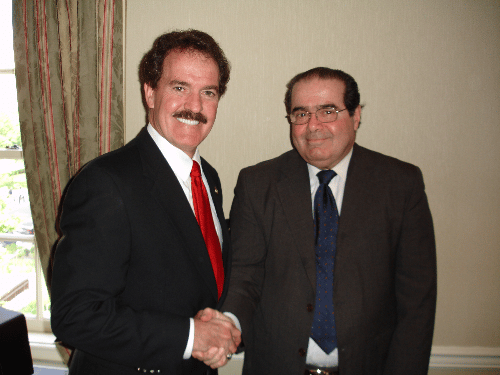 This follows up on my February 16, 2007, blog entry about the drinking and driving arrest of one of Justice Scalia’s daughters. I said then, and say now, the only silver lining in this misdemeanor prosecution against Ann S. Banaszewski is to make criminal arrests and prosecutions more real — rather than simply abstract — for Justice Scalia and his colleagues. Last week, Ms. Banaszewski entered a guilty plea to drinking and driving. She was sentenced to eighteen months probation, 140 hours of community service, and counseling (probably involving a group alcohol education class, which are commonly required for clients convicted of driving under the influence in the jurisdictions where I practice). She received an automatic six-month driver license suspension for refusing to take a breath test. Jon Katz.